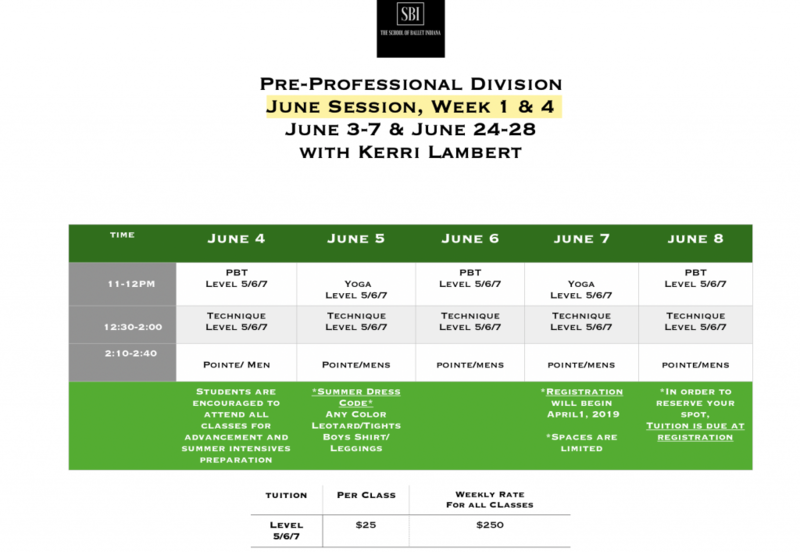 June Session Classes and information is below!
. 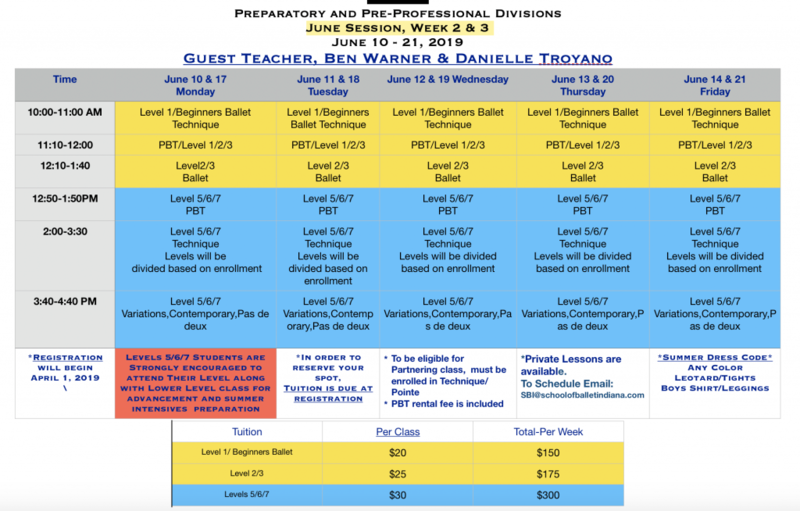 Join us as we continue ballet classes and preparation for those attending Professional Summer Intensives! 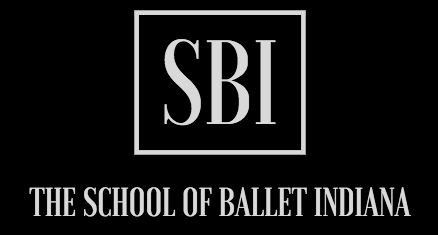 Beginning June 3 and ending June 28, SBI will be having ballet classes Monday-Friday throughout the month. Our PreProfessional Division can count on daily class while our Preparatory Division will have certain weeks of class. This year, we are very excited to welcome back two Guest Instructors who are wonderful technicians and amazing dancers: Ben Warner and Danielle Troyano. Continue to check back with us on days and times as we finalize this amazing Summer program! Benjamin is originally from Boston, Massachusetts, where he was trained at the Walnut Hill School for the Arts. He attended Indiana University where he graduated with a Bachelor of Science in Ballet Performance and an Outside Field in Religious Studies. 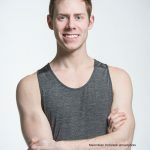 Benjamin has danced professionally with Ballet Memphis, Alberta Ballet, and Smuin Contemporary American Ballet. Mr. Warner has had the great privilege of teaching around the United States and Canada, he currently lives, dances and teaches in San Francisco. Danielle Troyano, from Long Island, New York, began her early training there, continuing with Sara Knight at SLKBallet, in New York City. Danielle received scholarships to summer intensives at The Rock School, The Walnut Hill School, the HARID Conservatory, Orlando Ballet and Cincinnati Ballet. She has also received training from the Gelsey Kirkland Academy, Ellison Ballet, and Tulsa Ballet summer intensives. In 2012, Danielle studied in London at the Central School of Ballet as part of an exchange program with SLK Ballet. At 19, Danielle joined Montgomery Ballet under the direction of Darren McIntyre. There, she performed soloist roles such as Snow Queen and Arabian Princess in The Nutcracker, Carmen Pas De Deux, and the lead female role of Liberty Bell in Mr. McIntyre’s original ballet, Liberty Bell. 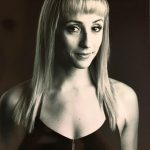 Danielle has worked with the Albany Berkshire Ballet for two seasons where she danced in Carmina Burana, and as Sugar Plum Fairy and Dew Drop in the ABB’s Nutcracker tour. 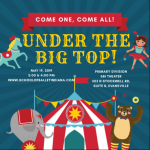 Danielle has been a guest artist with Hinsdale Ballet Theater, originating their title role in Cinderella and in the same year, performed as the Fairy Godmother in the Charleston Ballet Theater’s Cinderella. Since joining Ballet Idaho in 2014, Danielle has had many performance opportunities such as George Balanchine’s Concerto Barocco, Valse Fantasie, and a demi-soloist role in Agon. She has danced lead marzipan in Peter Anastos’ The Nutcracker, the Fairy of Grace in Anastos’ The Sleeping Beauty, and a Pirate in Peter Pan. She was happy to finish out Peters last season of directorship by dancing the Pas De Trois in his Swan Lake. In addition to teaching for the Ballet Idaho Academy, Danielle is proud to be certified and currently teaching Dance for Parkinson’s, a movement class designed to ease the symptoms of those with Parkinson’s Disease. 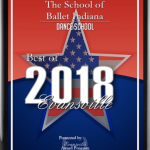 She remains on permanent faculty at the Hinsdale Dance Academy in Hinsdale, Illinois, which just won the Outstanding School Award at the Youth America Grand Prix finals. Over the years, she has served as the director of the young children’s program, the Nutcracker production manager and returning summer faculty. Danielle loves teaching and passing along her love of dance to the up and coming generations of talent. Every summer in Late July, early August, we invite our students to come back to the barre for ballet class. It is a great way to get ballet ready and start the year off on the “right” foot!